In the twelfth century Italy gradually took a key role in the trade with the Far East. Pisa, Genoa, Venice competed for Chinese silk and Indian spices which were then sold in the European markets. The competition was not limited to the economic aspects, but often developed into wars. In 1284 the Genoese defeated the Pisan fleet at the Meloria rocks near Leghorn and this led to the decline of Pisa. Genoa and Venice continued their confrontation until the end of the XVth century. 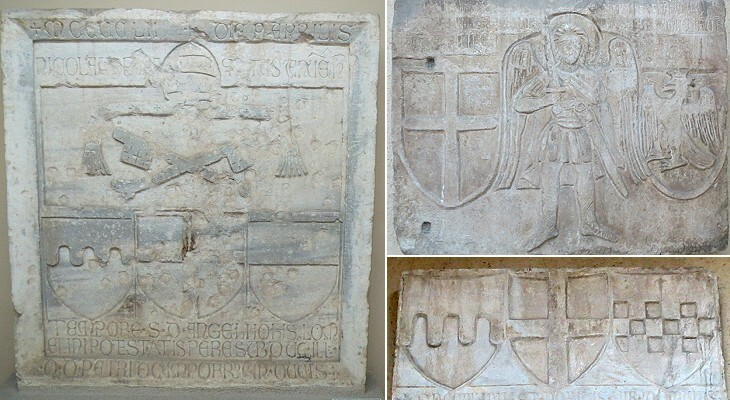 Both cities were republics ruled by a limited number of families, but while in Venice these families exerted their power through the official institutions, in Genoa the noble families preferred to have a very weak government structure. This different approach was eventually at the base of the greater fortunes of Venice. Venice managed to prevail in the trading route to Alexandria where spices arrived from India and in the transportation of pilgrims to the Holy Land. 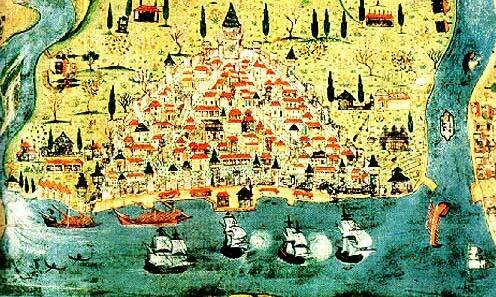 Both Genoa and Venice had large merchant bases in Constantinople. The Genoese developed from their base in Galata, opposite Constantinople, a trading route towards Caffa in the Crimean peninsula, by establishing colonies in Amasra and Sinope. The flow of goods from China to Europe did not follow a single "silk route", but it was influenced by the political developments in Central Asia. In the XIIIth and XIVth century the Mongol empire of the Golden Horde controlled a vast area of Eurasia, from the shores of the Baltic Sea to the Crimean peninsula and to the Lake of Aral in Central Asia. The stability of this empire made Caffa the terminal of an important silk route. In addition to the Chinese products, the Mongols sold furs and slaves to the Genoese. In 1346 there were undesired travellers from Caffa to Constantinople: rats bearing the fleas at the origin of the Black Death, the epidemic which reduced the population of Europe by roughly one-third. The map below shows the Genoese bases in the Black Sea. On November 26, 326 Constantine announced the relocation of the capital of the Roman Empire from Rome to Byzantium which was renamed Nova Roma and later on Constantinople in his honour. All aspects of the new city which were reminiscent of Rome were emphasized. Constantinople had seven hills as did Rome, the narrow sound (the Golden Horn) which provided a natural port was compared to the Tiber, Constantine built a quarter on a hill on the other side of the Golden Horn in imitation of Trastevere; this quarter was called Sykae and again following the pattern of what had happened in Trastevere (Ripa Romea) it became the preferred settlement of foreigners. The quarter became known as Galata, after a prince from Galatia who settled there. The Venetians settled in Galata, but, as a result of the support given by Venice to the Byzantine Emperor in his fight against the Normans, they moved to Constantinople and Galata became the residence of Genoese merchants. Both Genoa and Venice profited by the frequent dynastic quarrels among the members of the Byzantine imperial family to increase their influence and obtain trade rights. They also secured for their merchants a sort of capitulation rights, by which the merchants could form colonies, under the direct jurisdiction of their consular representatives. Galata therefore evolved into a type of independent city-state, similar to those existing in Italy. Because the Genoese central government was rather weak, Galata rulers often disregarded the policies of their distant motherland. In taking sides in the continuous fights among Byzantines, Serbs, Ottomans and Bulgarians, the inhabitants of Galata looked at their immediate advantage. They strengthened the defenses of Galata by building a very high tower on the top of the hill (it is clearly visible in the map above). 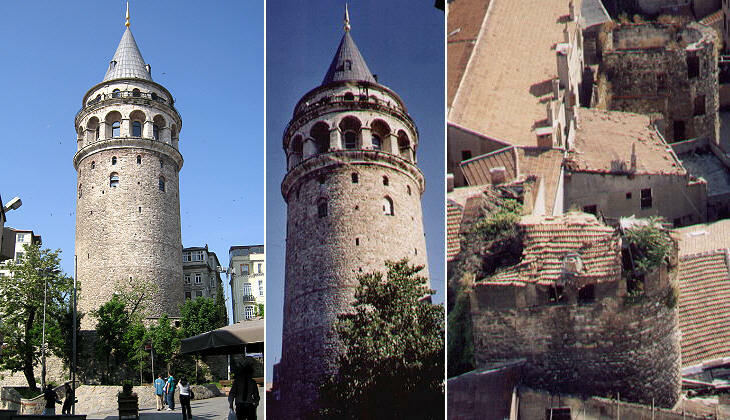 The Tower of Galata is still a landmark of modern Istanbul. In 1453 Sultan Mehmet II Fatih (the Victorious) laid siege to Constantinople. A Genoese leader of soldiers of fortune, Giovanni Giustiniani Longo, responded to the Byzantine Emperor Constantine XI's appeals for help and with his 700 soldiers was able to effectively organize the defense of the city. 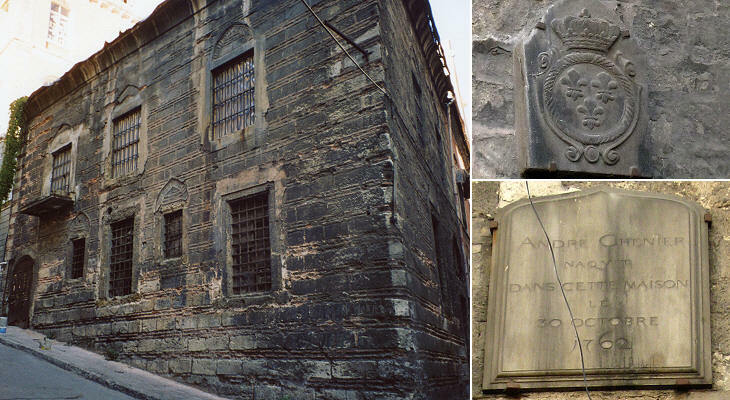 The Genoese of Galata took a different position: they proclaimed their neutrality and as a matter of fact helped the Ottomans, by leaking information and by allowing them to move their fleet by land from the Bosporus to the Golden Horn through a sort of railway built on the hill of Galata next to the walls of the town. As a result of this policy, Mehmet II, after having conquered Constantinople, renewed trading rights to the Genoese of Galata. He required however the tower to be lowered and the walls to be broken in several places. The reason why the Genoese built such a high tower can be easily understood, by going up to its terrace. The tower allowed the view of the open sea beyond the hills and the buildings of Constantinople, so that the Genoese could early on distinguish between the arrival of their own ships from those of hostile fleets. The tower allows a clear view of the entrance to the Bosporus, the strait leading to the Black Sea. But the hopes of the Genoese to continue their profitable trade in the Black Sea after the conquest of Constantinople by Mehmet II, were short-lived. Mehmet II had a clear vision of his target of effectively unifying his possessions in Asia and in Europe and prior to attacking Constantinople he built a fortress on the European side of the Bosporus which controlled the traffic in the strait. It is known as Rumeli Hisari the fortress of Europe, as Europe was called Rum (Rome/Roman) by the Arabs and the other Muslim nations. The Ottoman cannon were able to stop any ship trying to travel without permission. The Genoese influence in Galata gradually diminished, especially when in the XVIth century the Genoese fleet, led by Admiral Andrea Doria, supported Emperor Charles V in his fight against the Ottoman bases in northern Africa (capture of Tunis, 1535). Francis I, King of France sided with the Ottomans and his policy was in general followed by all the French rulers. 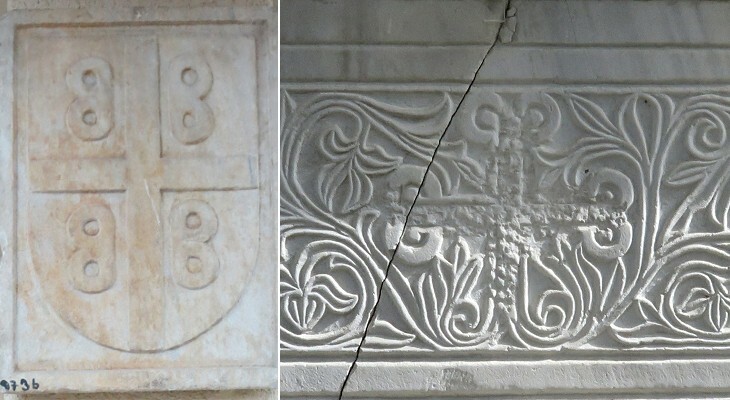 This alliance led to France becoming the nation protecting the Catholic merchants living in the Ottoman Empire and there are signs of this influence in some coats of arms which can still be found in Galata. The French poet Andrea Chenier was born in Galata. 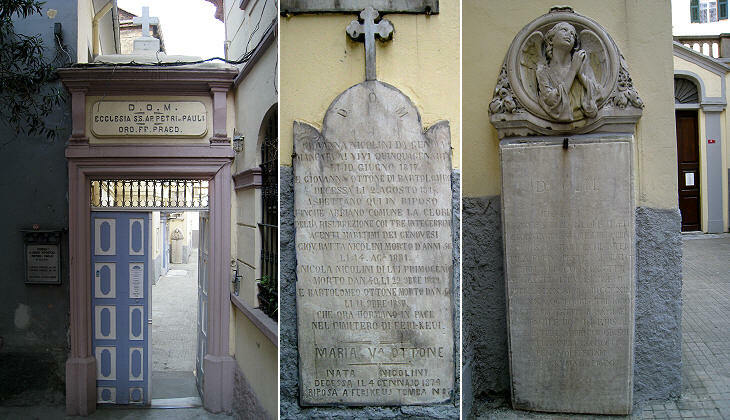 In the little (and hidden) church of St. Peter and Paul's burial inscriptions show that a certain number of Genoese families continued to live in Galata until the XIXth century. In the XIXth century Galata and the area behind it, known as Pera, underwent a great expansion: banks, shipping companies, theatres, shops gave a very Belle Epoque appearance to the Ville de Péra; only a few old buildings of Galata were spared. The expansion of modern Istanbul continued beyond Pera and the skyline of the new quarters is a symbol of a roaring economy. 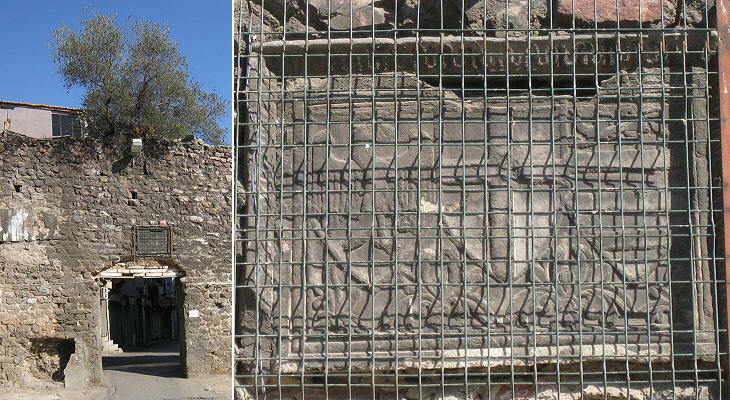 The image shows in the foreground the little tower of Leander, controlling the entrance to the Bosporus. The tower rebuilt in the XVIIIth century was called by the Ottomans Kiz Kalesi, the maiden's tower (for another Kiz Kalesi click here).